I’m not turning 30 yet (I have two more years of my glorious twenties), but I know some people who are turning 30 this year and they’re FREAKING OUT. I don’t know about you, but I’m actually really pumped for my thirties. I think the thirties are going to be our wonder years! “Thirty, flirty and thriving!” as they say. 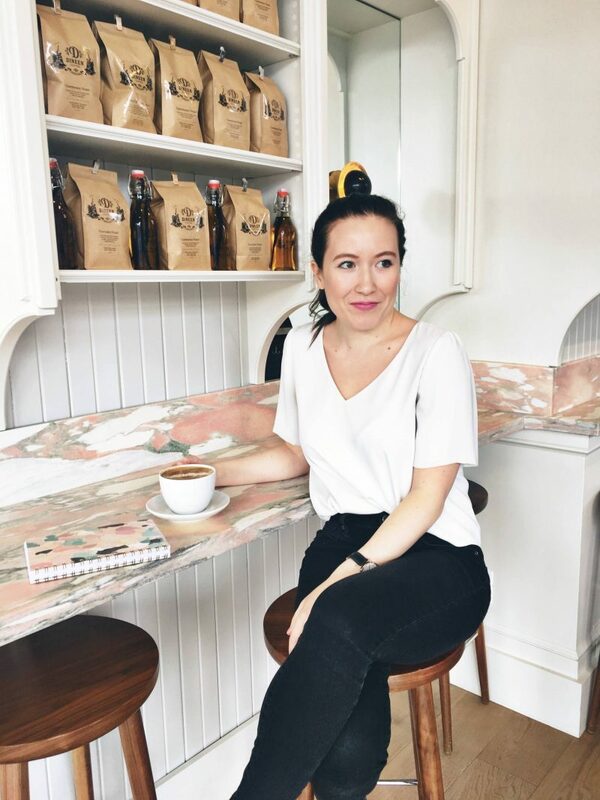 Our twenties are all about figuring our shhh out and growing from our mistakes, and although I know I won’t have EVERYTHING figured out when I’m thirty, I do think my life will be more on track – do you feel me? The older the wiser! 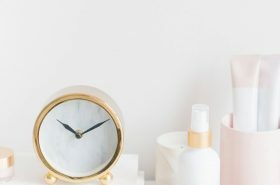 And for us to live our best lives, there are a few habits to kick before turning 30. The great thing about habits is that they can be learned and unlearned. I heard this amazing quote in a podcast the other day, and it hit so close to home. Everything we do today is setting our future selves up for success or mediocracy. I’d like to go with the former. Here are 8 habits to kick before you turn 30! I had to put this one first, because to me, it’s the MOST important! We’re still SO young, there’s still so much time for us the pursue our dreams and create our ideal lives. I talk to so many people my age and it seems like they’ve already “given up”. They have passions but don’t think they can go anywhere with them so stay at their 9-5 job that they hate. If you want something badly enough, make it happen. If you look to someone else’s life and wish yours was more like theirs, put in the work to get there! Do you want to start a successful blog? Do you wish you had a freelance career so you could work from home? Or maybe you want to be a total girl boss and live life by your own terms! A lot of people want a certain lifestyle, but just aren’t willing to put in the time or effort to achieve it. But it’s totally in your reach!! This quote gets me every time: “Your unwillingness to work on your own ideas during your free time is the reason why you have to work for someone else.” So many people have done it before you, so why not you? Or maybe you love what you do for work, but there’s a hobby that you’ve always wanted to take up. 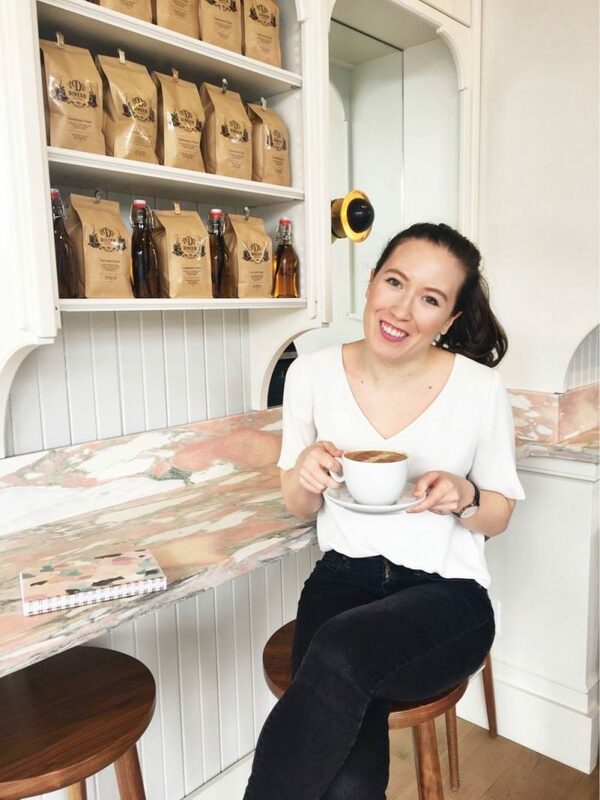 Whether it’s boxing, blogging, cooking, knitting, or anything in between, set time aside to do something you love to do and make it happen on a consistent basis! Your twenties can be tough, and although you should start saving as soon as possible, not everyone does. If you live in a city where the price of living is high, it’s really important you put money away ASAP. Some people are so into living in the moment and spending their money on sparkly “right-now” things, rather than thinking about the future. If you’re not putting anything towards your savings, start now! Even if it’s just a little bit each week or month, it’s better than nothing and you’ll be happy to see it consistently grow. The comparison game can be so deadly!!! 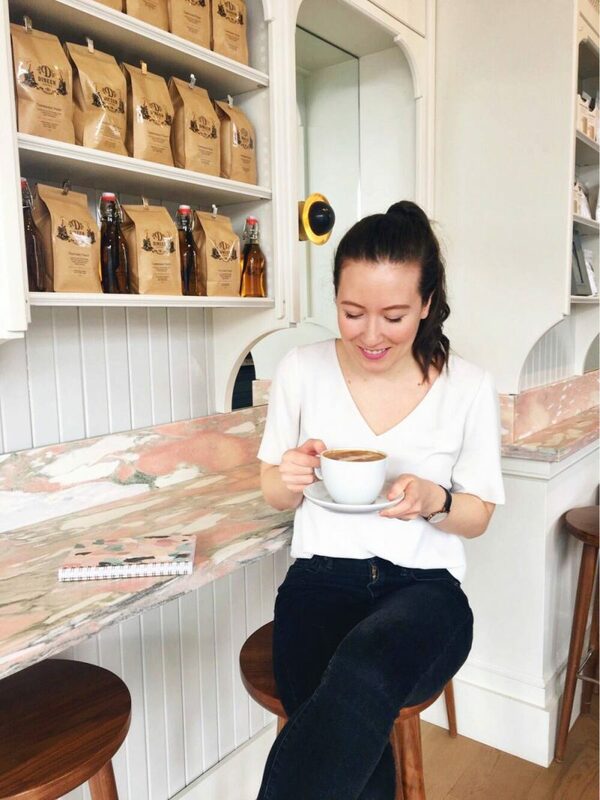 Especially as someone who has a brand and blog, I put a lot of time into platforms like Instagram and if I’m not careful, I swirl into the world comparison much too easily. And I know others who look at and compare their lives to their friends or “influencers” they follow. This is one of the most important habits to kick before you turn 30. “Comparison is the thief of joy”. This quote couldn’t be more true. Just remember – people post their highlight reel on social media. Focus on your own joys and journeys and realize you’ll have amazing moments that will be just as special. Aside from doing an Instagram Story when you get your meal (#doitforthegram), your phone should not be out when you’re having a meal with someone. We’ve become so reliant on technology and feel the need to check our phones all the time (I blame FOMO), but when you’re sharing a meal or a conversation with someone, give them your full attention. Allow yourself to be fully in the moment so the two of you can enjoy each others’ company and not be distracted by what’s going on elsewhere. This is my biggest pet peeve. BIGGEST. I find it so disrespectful when people are late. It shows a disregard for the other person’s time, and it’s just downright rude to be late all the time. Things happen, I get it, and of course I’ve been late before, but if it’s something that you’re constantly doing, it’s time to change your ways. Time is so valuable and I don’t want to waste other people’s time and I don’t want them to waste mine. If you’re someone that’s constantly late, work your best on resolving it. Your skin should be a top priority in your 20s and beyond. No more sleeping with makeup on, picking at pimples and not wearing sunscreen. You should be wearing sunscreen every day, even in the winter! If we don’t take care of our skin now, it’s not going to be pretty in the future. Find products that work really well for your skin. I’ve found my dream products this past year that I never knew existed before and my skin has never felt or looked better. Do your skin a favour and find products it absolutely loves! It can be tempting to eat out all the time, especially if you work long hours or are always on the go, but try to cook/bring your own food whenever you can. First of all, it saves you a ton of money, and second of all, you can make meals that are a lot healthier when you cook for yourself! Saying “no” to things can be tough sometimes, but if you really don’t want to do something, or don’t have the time for it, it has to be done. When we always say “yes”, it becomes the standard. People will always rely on us to say be there or do things, and it will become even harder to say no in the future. Only say yes to things that you really want to do and bring you joy. Life’s to short for anything else! 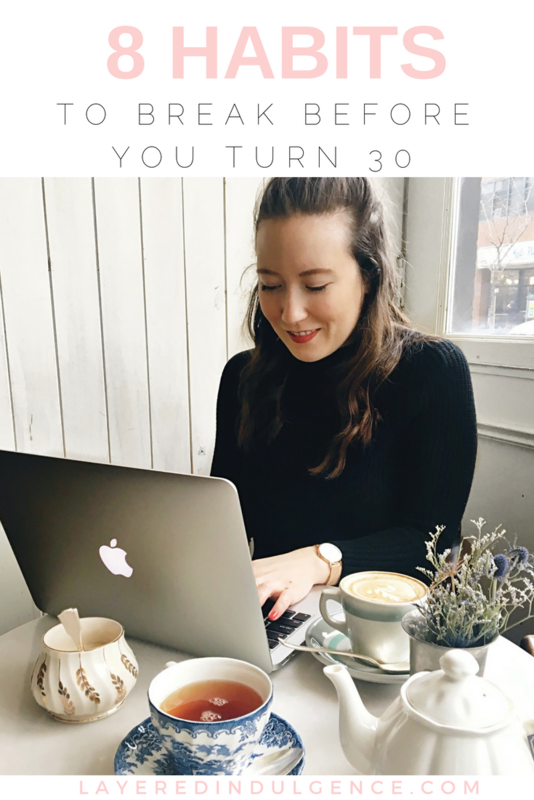 Are you on your way to your thirties? How do you feel about it? 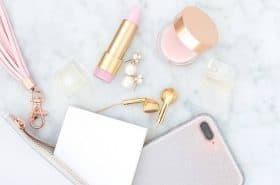 Are there any other habits to kick in your thirties you would add to this list? 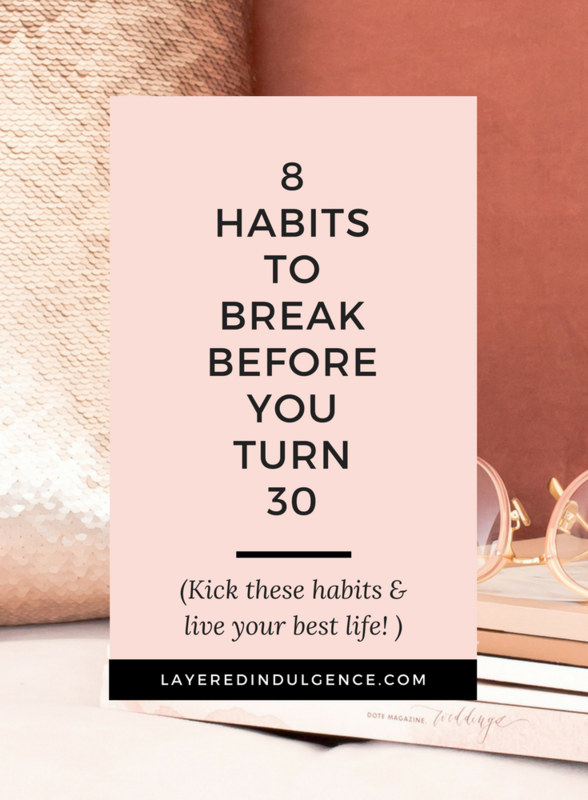 If you loved this post on habits to kick before you turn 30, make sure to share the image below on Pinterest! I think that your twenties are important to know yourself, love yourself and take care of yourself, physically, mentally and emotionally!! I totally agree and I’m so happy to hear you’re excited to turn 30!! I feel like this next two years (for me) will be filled with lots of (good) change and it’s very exciting!! I’ll be thirty in February and I’m looking forward to it, but that doesn’t mean there aren’t certain changes I want to make or things I want to put in place before then to make sure they are even better. 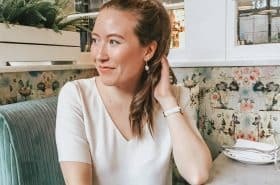 My twenties have been a time of uncertainty and really getting to know myself but as I hurtle towards thirty I feel much more excited, driven and confident. I’ve done everything from 3. to 8. 🙂 1. is still in the progress because I just came to my dream uni to study Creative & professional writing, and 2. will have to wait a bit until I get a job again. To be honest, becoming a Thirty has always given me the”butterflies”. There were days when everything seemed not to work out as planned. But thank God I met the right people and had the resources to learn once again and improved myself and still learning more. I’m confident now more than ever that my THIRTY’S gonna rock like Heaven! I will be a thirty the next four years, Hurray!! Thanks so much for your comment, Daniel! Surrounding yourself with the right people is key for sure, and I love your attitude!! Glad you enjoyed the post and thanks for stopping by!